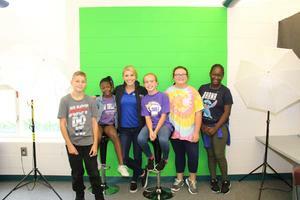 On Tuesday, September 25th, Sam Bleiweis, a news anchor from WIS-TV in Columbia, visited B-L Elementary School’s “School of Journalism.” She toured the group’s news room and spoke to students about the various career opportunities that can be pursued in the field of journalism. Students in Ms. Goetowski’s class at B-L Middle School are developing life skills and honing what they learn academically in the classroom through a special year-round project that began just a few weeks ago. Congratulations to B-L High School teacher Maggee Ellis on winning a statewide contest that was sponsored by the Palmetto State Teachers Association. Mrs. Ellis was randomly selected out of a pool of around 1,000 people to have her student loans paid for by the Palmetto State Teachers Association for a whole year. The contest was open to new members who joined the PSTA between May 1st and August 31st of this year. 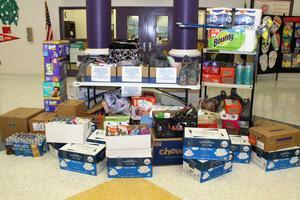 During the last few weeks of September, students and staff members in Lexington County School District Three rallied together to collect non-perishable food items and supplies for residents living in the Marlboro County School District. 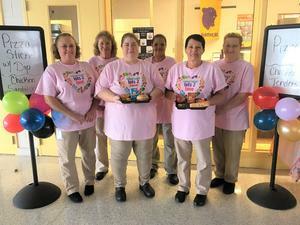 During the week of October 15th through 19th, Lexington County School District Three participated in National School Lunch Week. The celebration, which was sponsored by the School Nutrition Association, is aimed at helping schools highlight their cafeteria programs and show why they are a special, delicious and nutritious place for students to visit every single day. 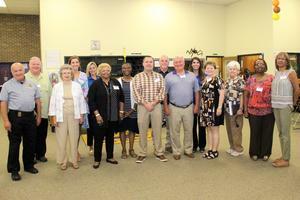 On Thursday, September 20th, B-L Primary School Media Specialist Amy Bedenbaugh was named as the new Lexington County School District Three Teacher of the Year during a special banquet that was held at Southern Occasions in the historic Batesburg district. Congratulations to senior students Caroline Bedenbaugh and Kendall Ridge on earning a Platinum Certificate on the WIN Ready to Work assessment. Caroline and Kendall were honored for their achievements at the Lexington County School District Three Board of Trustees meeting on October 9th.